Imagine yourself in the exotic beautiful city of Yangon, Myanmar (Burma). You are standing on the shore of famed royal lake Kandawgyi with the Shwedagon Pagoda filling the horizon, before you the sun glimmering off the golden surface. As you turn and say hello in Burmese, you are quickly the center of attention and surrounded by smiling faces, the people amazed by your mastery of the Burmese language even though you've used only a few common phrases to break the ice. 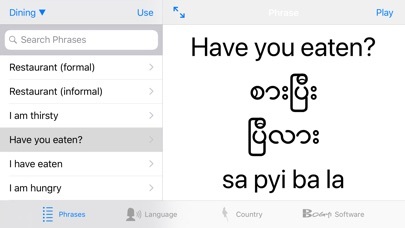 iBurmese is the first ever app for iPhone and iPod Touch providing common useful Burmese language phrases, both spoken and in Burmese language script. 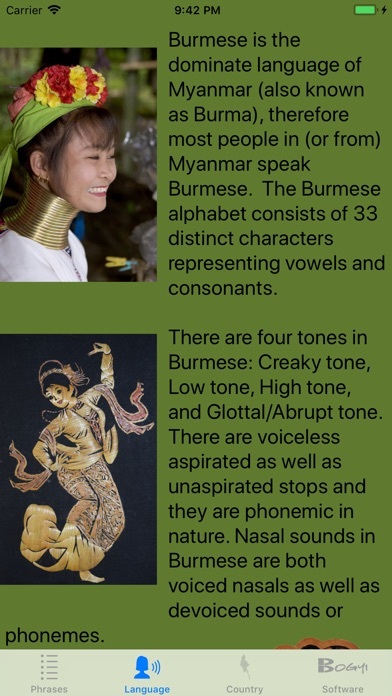 Burmese is the spoken language of the southeastern Asian country Myanmar (previously known as Burma). 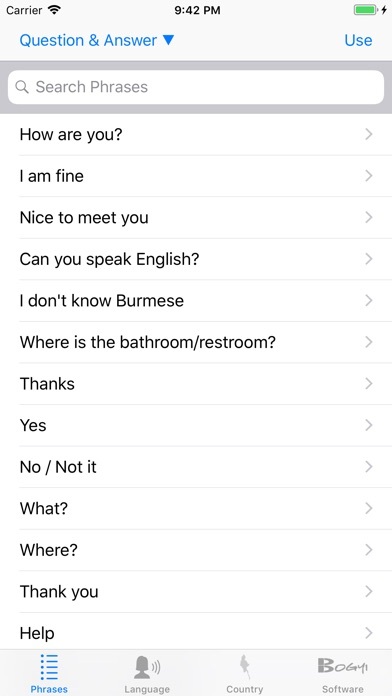 + Quickly scroll or search through provided Burmese phrases. 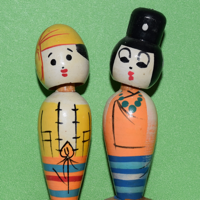 + Play back audio of authentic Burmese speech for each phrase. 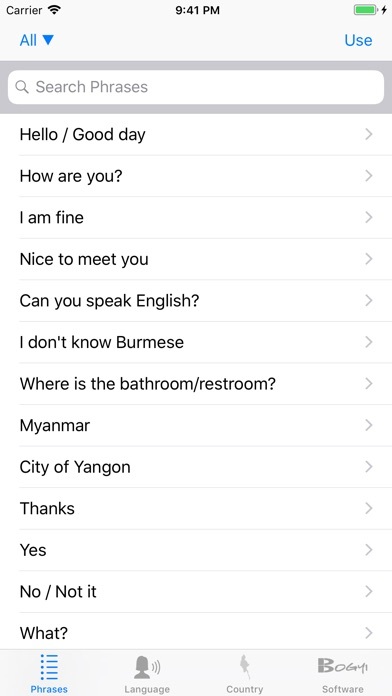 + Provides easy to read English transliterations, which is how to pronounce the Burmese described with English characters. + No special Phonetics knowledge required. + Works without network or cell phone signal. 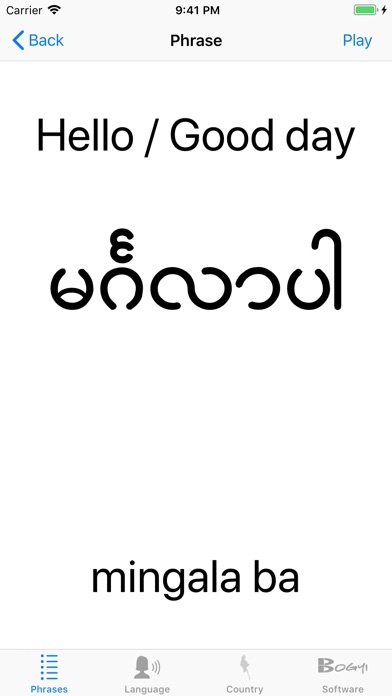 Burmese script can be used as an alternative non-verbal way to communicate without making a sound (e.g. during a performance). 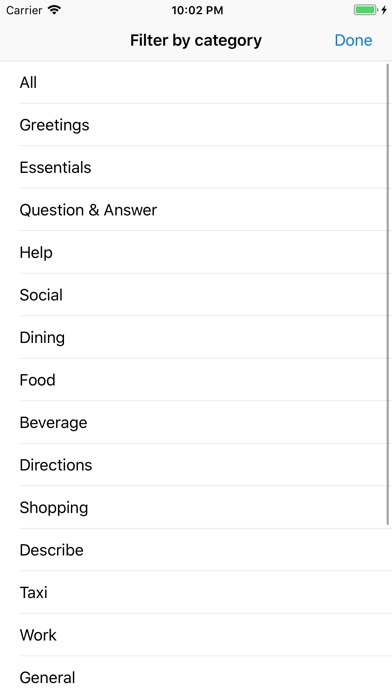 Please note that this app is not a Burmese dictionary or a translator!!! 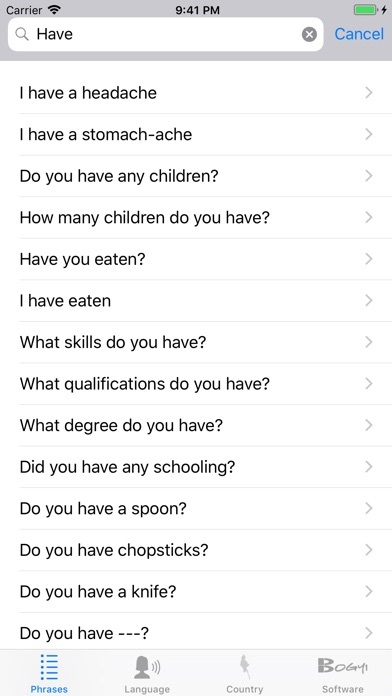 - Version 1.7: Added even more phrases!